Protesters took to the streets of Toronto on Oct. 19 in hopes of fixing a broken economic and political system. Although harsh weather has continued to rain on their parade, passion and energy amongst hopeful protestors remains high as Occupy Toronto continues. Despite poor protesting conditions, demonstrators pile out of tents with as much determination and energy as on day one. Once the cavalry has been rounded up, they take to the damp streets beating drums, singing and chanting, hoping to evoke change in a seemingly broken economical system. 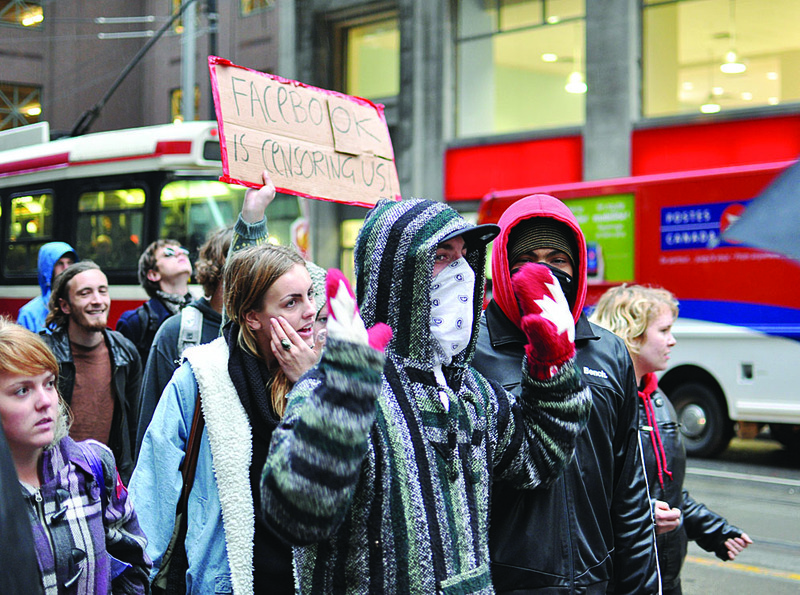 Although independent from other Occupy movements, Occupy Toronto and related protests share a common ideology – that current economical and political systems are unacceptable. A number of issues have been brought into the limelight since the birth of Occupy Wall Street. Corporate greed, economic inequality and corporate influence over government have been of particular interest. “We are the 99 per cent,” has become a signature slogan of demonstrators, referring to the difference in wealth between the wealthiest 1 per cent and the other 99 per cent of people. According to protestors, the top 1 per cent of people continues to grow richer while the other 99 per cent are sinking into financial crisis. Additionally, the government is only working to serve the elite 1 per cent instead of the bottom 99 per cent in dire need of assistance. Since September, those victimized by immense debt have taken to the Internet to share their fiscal horror stories. Between enormous student loans, mortgages and a lack of jobs, many have found themselves in despair. “I’m a recent grad and I’m having the utmost trouble finding a job … and I have five reference letters and four appraisals,” said Marcos Horta of Mississauga. Horta, like other students in attendance, all face a similar problem – how to repay student loans without work. Although protestors have yet to agree on a unified goal, many are calling the demonstrations a “democratic awakening,” instead hoping to invoke growth in the future. “We’re building a global community. This isn’t revolution, it’s evolution,” said Ryerson student Daniel Salij. Although no visible progress has been made, protestors are confident that they have invoked change. What was once a small gathering of like-minded activists has gradually transitioned into a much larger congregation. “I think this whole thing will raise some eyebrows. People are starting to take it seriously now since it’s a worldwide phenomenon,” said demonstrator Cam Smrokowski. While demonstrators have been pleased with the generosity and support of the community, they are still urging anybody who is concerned with the condition of the economy to come out and show support. While an end date has not been discussed, some occupiers have began to purchase Christmas lights in anticipation of protests during the holidays.